The alleged victim of Colorado assistant coach Joe Tumpkin tells her story of pain and perseverance to seek justice. On Dec. 9, 2016, Trisha MacIntyre, the wife of Colorado football head coach Mike MacIntyre received a Facebook message from the girlfriend of Joe Tumpkin, an assistant coach on her husband’s staff. The MacIntyres knew Jane and they were friendly with each other. Like the MacIntyres, Jane was in her early 50s but seemed 10 years younger. 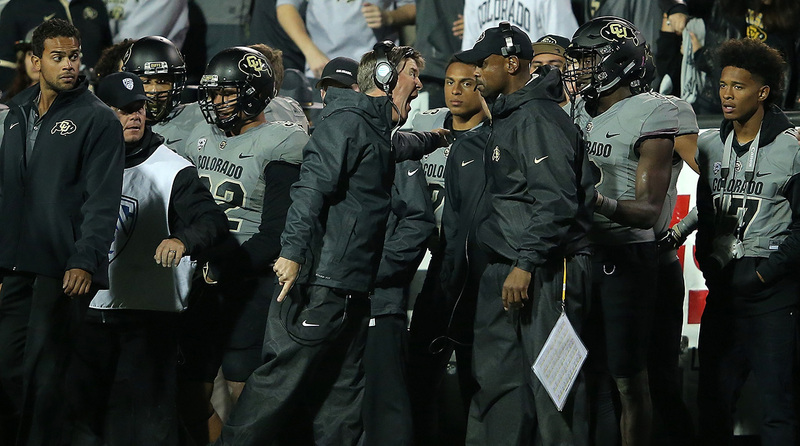 She had emailed Mike MacIntyre two days earlier to ask the coach to call her regarding a “very confidential concern” about Tumpkin, who coached the Buffaloes safeties, but Jane had not received a response. When Trisha received the message, however, MacIntyre called Jane immediately—an assertion, as with the others reported here, that is supported by phone records. “I told Mac I was terrified to talk to him and it was the hardest decision I had ever made,” Jane later told SI. Tumpkin, her boyfriend of three years, had repeatedly and violently abused her during the last two of those years, she told MacIntyre. Jane later told tell SI that she suffered approximately 80 episodes of abuse at Tumpkin’s hand in the years 2015 and 2016. Many of these assaults had lasted for hours, she said, leaving her with bruises that she hid while working as dean of students at a Michigan high school. Routinely Tumpkin’s fits of violence were followed by gifts, apologies, and promises to change, which Jane, after varying lengths of time, always accepted. “Why did I always come back?” Jane asked herself during a recent conversation with SI. “I have a Masters degree. I’m trained to counsel kids, families, when things like this come up … and yet I stayed. During her initial conversation with MacIntyre, Jane says, she told him that the most recent incident had happened three weeks earlier, after she’d flown to Boulder for the Washington State game on Nov. 19. The night before the game, Jane says Tumpkin came home at midnight, drunk. Jane alleges that another violent assault ensued. It resumed the morning after the game, at around 8:00 a.m., Jane said, and the abuse continued when “he dragged me across his dining room to the door where he hold me to get the f--- out.” Later, Jane made her way to the airport and flew home to Michigan (which was also Tumpkin’s home state, and the state where they had first met). That incident ended their relationship, Jane said. During that first call, the head coach’s faith in her story—“he was so kind,” Jane recalls—moved her to call him back the next day. Jane had told Mac that she was intentionally not giving him any evidence because she didn’t want to put him in an “Art Briles situation”—a reference to the former Baylor head coach who was fired for reportedly mishandling allegations of sexual assault perpetrated by Baylor players. But then she remembered that there was evidence that could easily become public. Earlier in 2016, she says she told MacIntyre during this second conversation, “the police had shown up at Joe’s apartment ... [there is] a domestic violence call on file ... a neighbor heard Joe beating me up.” She had lied to the police that night, she explained, by claiming that the violent sounds had been part of a consensual sexual encounter. The police bought it and left. MacIntyre thanked Jane for the heads up, she recalled. According to Jane, he said that he had spoken briefly about the matter with athletic director Rick George, who was traveling, and “they were going to sit down together when [George] got back and decide what to do,” Jane said. After that call, and over the next three days, Jane’s phone was silent. She would not hear from MacIntyre, or anyone at Colorado Athletics, again. Tumpkin would not be suspended from the team for another month. In the face of mounting evidence, Tumpkin was finally asked to tender his resignation on Jan. 27, 2017, three weeks after his suspension, and seven weeks after Jane first informed MacIntyre of Tumpkin’s repeated assaults. A disconcerting series of events within CU Athletics preceded his departure, events that fit a pattern that has become all too familiar within college athletics—that of a female victim pitted against a powerful institution desperate to maintain its success and public image. Here are some texts over the last couple of days about the abuse, Jane texted MacIntyre three days after their first phone conversation. He hasn’t gotten help ... You are in my prayers, Coach. You and Trisha welcomed me as family and I am sorry for bringing all this into such an amazing time for you both. She wasn’t looking forward to the calls she expected to receive from MacIntyre or athletic director Rick George (whom she'd met on a couple of occasions), or one of their representatives—maybe someone from a victims’ support service. But she did expect them. She anticipated brief calls offering support, maybe informing her that steps had been taken (discreet steps, Jane hoped) to see to it that Tumpkin would get the help he needed. She expected calls that would help her feel as if she and other women were at least a little bit safer than they’d been before Jane entrusted the story of her abuse to her assailant’s boss, who is also the highest paid public employee in Colorado and is required, as a mandated reporter (as is MacIntyre’s boss, Rick George), to notify CU’s Title IX coordinator of such allegations. The first contact Jane received about the matter, however—other than texts from three people closely associated with CU Athletics who praised her for speaking up—was from Jon Banashek, who called her four days after she and MacIntyre first spoke and, according to Jane, introduced himself as the criminal defense attorney for Joe Tumpkin. I understand you called coach MacIntyre, he said. Jane was “stunned, hurt ... mortified,” she told SI. She assumed, rightly, that Banashek was the go-to defense lawyer for CU Football. A Google search would later reveal to her that Banashek had represented Buffs defensive back Jeffrey Hall, who pled guilty to two felony charges after assaulting a female CU student at a party in Feb. 2014; and Donald Gordon, one of two Buffs players who pled guilty to felony burglary earlier in 2016 after being caught on tape stealing codeine and electronics from a dorm room. Banashek had also represented Josh Tupou, a 300-pound, NFL-bound lineman who, according to a local Boulder-area paper, the Daily Camera, citing a police affidavit, was accused of escalating a brawl at a campus party in February 2015 when he “tackled a party guest ... punched him three to four times in the face ... [inflicting] a broken nose and a broken bone in his right cheek ... [and] reportedly kicked another man in the crotch and then punched a third man in the back of the head.” Banashek, Jane recalled, mentioned the Tupou case during his call to her, as if stating his qualifications. She would learn later that Banashek had gotten the Tupou charges dismissed. According to Jane, Banashek told her that “he understood from Mac that I was looking for a restraining order ... [Banashek said] he could make that happen. He assured me that his client would never contact me again in any way. He kept asking, What is it that you want?” Jane recalls. “He must have asked me that ten times. Would you like to have all of that paid for? Banashek asked, according to Jane. “[Banashek] asked if I wanted an apology. I told him I had 600 apologies in text [form], so I do not need another. I told him that I had called coach Mac ... but no one is talking to me except a criminal defense attorney who is being paid a lot of money to get Joe out of trouble for beating me for two years. A pause followed, Jane recalls. “Mr. Banashek said that Mac wouldn’t be taking my calls anymore because he didn’t want to be called in as a witness.” Both Banashek and MacIntyre did not respond to SI’s multiple requests for comment. Phone records confirm that Jane called MacIntyre’s cell as soon as her call with Banashek ended. I am going to file a report with the police in Colorado about what was done to me. I do not wish to give Joe or his criminal defense attorney a heads up, but I will forever respect you and Trisha so I wanted you to know ahead of time. One hour and 18 minutes later, Banashek called her. (“I thought, ‘Did Mac just call him after I asked him not to?’”) During this second call from Banashek, Jane recalled, his tone was as kind and cordial as it had been during the first call. Jane recalls that Banashek said: I want to devote my time to getting you and Joe healthy, not to helping Joe keep his job and stay out of jail. Can you help me with that? According to Jane, Banashek at that point said, I’m trying to help you, because this could get worse for you. “That sounds like a threat,” Jane said she replied. No no no no. I just know that you don’t want this to go public because of your son. James (not his real name) had played defense for Tumpkin when Tumpkin was the defensive coordinator at Central Michigan between 2010 and 2014. James’s mom and his coach didn’t start dating until James’s senior year. James didn’t know about their relationship until a year later, after Tumpkin accepted the Colorado job. The conversation in which Jane told her son that she intended to move to Colorado and marry his former coach “did not go well,” Jane recalled. The taboo of a coach dating a mom was just too strong. As if Jane didn’t have enough on her plate, she would have to pick this scab and tell her son that Tumpkin had physically harmed her many, many times since the CMU days, and that the news of this abuse, and their relationship, was about to become public. She worried she would have to keep James, 23, from getting on the next plane to Boulder to retaliate. Fortunately, Tumpkin wouldn’t be in Boulder by the time she sat down with her son. 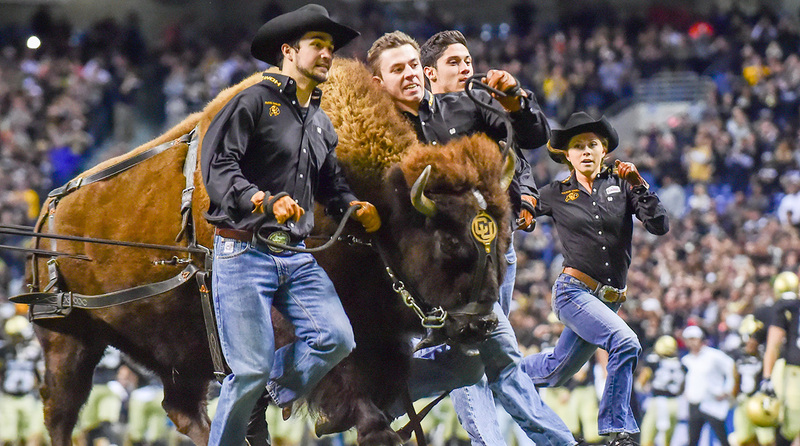 The Buffaloes were scheduled to fly to San Antonio on Christmas Eve for their Alamo Bowl matchup against 13th-ranked Oklahoma State. On Friday, Dec. 16, following a pre-bowl practice, MacIntyre told the media which assistant he’d chosen to fill the defensive coordinator role at the Alamo Bowl. (Colorado’s usual DC, Jim Leavitt, had been hired by Oregon earlier that week.) MacIntyre chose Joe Tumpkin. “That’s when I really knew that I was alone,” Jane says. On Tuesday, Dec. 20, 2016, the day after Jane gave her lengthy statement to Det. Hammell, her temporary restraining order against Tumpkin was signed by a judge in Boulder court. On Wednesday, Hammell asked Tumpkin’s lawyer to bring him in for questioning. Banashek replied that he would consider bringing his client in after the holidays. On Christmas Eve, MacIntyre and his coaches and players flew to San Antonio for the Alamo Bowl and the practices, events, and media sessions that would precede it. That was also the day that Jane sat down with her son and had a conversation much like the one she’d had with MacIntyre 15 days earlier. Hugged me a lot. Said he loved me and he was glad he knew. He was seething in a quiet controlled way with his eyes filled with tears. He kept rubbing his head hard, looking away and crying. He hugged me forever. I sobbed. I told him the only way Joe could ever hurt me again was through him. Oklahoma State scored the first 31 points of the 2016 Valero Alamo Bowl. Cowboys receiver James Washington torched CU’s secondary for 171 yards and a touchdown in the Cowboys’ 38–8 win. In the days that followed, Tumpkin reportedly interviewed for other, high-paying defensive coordinator jobs at programs including Houston. Jane, meanwhile, was having difficulty sleeping. The Christmas break and the Michigan snow had quarantined her in her home, where, based on the lack of response from MacIntyre or George, she was left to wonder whether CU Athletics wanted the story—and the growing case file at Broomfield PD—kept off the public radar until the high school recruits from whom Tumpkin had gained commitments could sign with the Buffs on Feb. 1. Thanks to her ex-boyfriend and her son, Jane knew intimately the inner workings of college football and could foresee a scenario in which, after that all-important date—Feb. 1—Colorado would quietly allow Tumpkin to take a job elsewhere, unburdening themselves of their indecorous secret. The other option Banashek presented: Could Jane simply notify the police that she didn’t want to move forward with the criminal case? Jane replied, No, to both options. “Tell him we’ll see him on the 31st,” she told her counsel. The next day, a Friday, the Daily Camera broke the news that a restraining order against Tumpkin had recently been obtained by an unnamed woman claiming two years of physical abuse. Athletic director Rick George issued a statement that read: “We are still gathering details about the very serious allegations in this filing. Once I’ve reviewed it, I will get together with Coach (Mike) MacIntyre and we will take whatever action is appropriate and necessary.” Exactly four weeks had passed since Jane’s initial, 34-minute phone conversation with MacIntyre. Neither George nor anyone else at CU Athletics had contacted Jane since then. That same day, Jan. 9, was also the day the university announced a $16.25 million contract extension for MacIntyre, which will pay him $3.25 million per season, for the next five years. “MacIntyre and George each told you, ‘This is news to us?’” SI asked. This exchange suggests that Plati, who has worked for CU Athletics for 39 years, may have either been lied to by MacIntyre or George, or that the coach and A.D. had for some reason withheld the Tumpkin allegations from a senior athletics official, the program’s spokesperson. That evening, SI texted MacIntyre and asked him the same question, When did you first learn of the Tumpkin allegations? SI invited MacIntyre to discuss the matter. MacIntyre has not responded. Documentation, however, did exist well before Colorado officials publicly acknowledged the accusations. Boulder County judge John Stavely signed a restraining order on Dec. 20, 2016—eleven days after Jane’s first call to MacIntyre, seven days after Tumpkin’s defense attorney called Jane and told her that he’d been in contact with CU Athletics, and five days after Jane notified MacIntyre that she was headed to Colorado to obtain the restraining order. On Jan. 31, 2017, the day before National Signing Day, the local district attorney filed felony assault charges against Tumpkin—the fruit of Hammell’s detective work and Jane’s refusal to give in. Tumpkin turned himself in the next evening, was released on $10,000 bond, and is due back in court Feb. 9 to hear his charges. As for her decision to take her story public, to share it with a broad audience, Jane says that she let her son make that decision, along with whether or not to use their real names. That move, they realize, will maintain their anonymity only for as long as it takes someone to do some deep Googling. I’m proud of you mama.